WATKINS GLEN (9/4/16)-Scott Dixon, driver of the No. 9 Target Chip Ganassi Racing Chevrolet, led 50 of 60 laps to take the checkered flag in the IndyCar Grand Prix at The Glen, Sunday, Sept. 4. 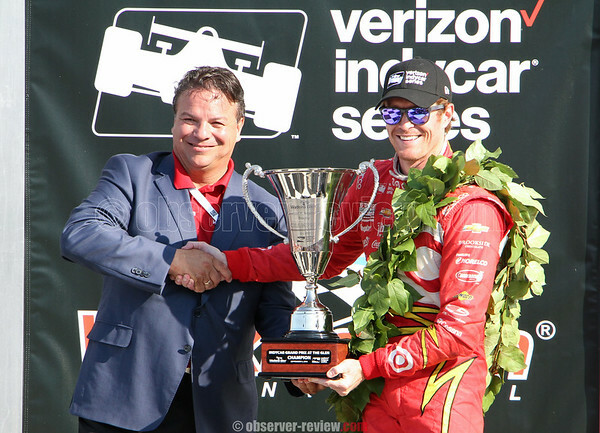 Dixon was on the pole for Sunday's race and finished over 16 seconds ahead of Josef Newgarden who was second. The top five also included Helio Castroneves, Conor Daly and Sebastien Bourdais. The IndyCar season finale will be held in two weeks at Sonoma when Simon Pagenaud and Will Power battle for the season championship.